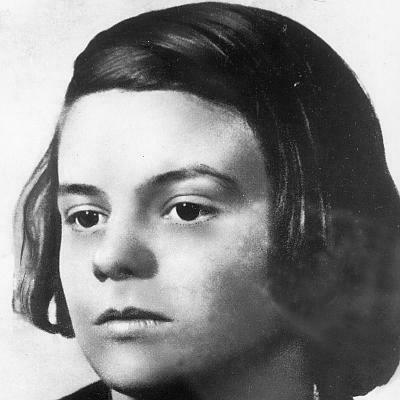 Sophie Scholl was a student at the University of Munich during the Second World War. She was part of a small group called The White Rose whose aim it was to resist the Nazi tyranny by passive means. On 22nd February 1943 Sophie, her brother Hans and their friend Christoph Probst were executed by guillotine on charges of high treason. They were respectively 21, 25 and 24 years of age. Their means of resistance had been to write letters and paint the walls with anti Nazi slogans in the hope that people reading them would find the courage to resist the Nazis through even the smallest acts. The night before she died Sophie told her cellmate a dream she had had. The cellmate, Else Gebel, wrote it down to give to Sophie’s family. This is what she wrote. On a beautiful sunny day you brought a child in a long white dress to be baptised. The way to the church was up a steep mountain, but you carried the child safely and firmly. Unexpectedly there opened up before you a crevasse in the glacier. You had just time enough to lay the child safely on the other side before you plunged into the abyss. You interpreted your dream this way. The child in the white dress is our idea; it will prevail in spite of all obstacles. We were permitted to be pioneers, but we must die early for the sake of that idea. But it is the very negation of the intellect that you serve in this desperate hour. You do not see the despair. You are rich; you do not see the poor. Your soul has dried up because you didn’t want to heed the call. You apply your intellect to the refinement of the machine gun, but even in your young years you brushed aside the simplest, the primary questions: Why? and Whither?